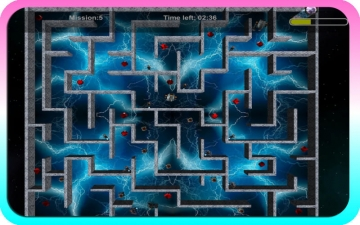 Gangstar Maze 3D | Mac App Storeのアプリ検索・ランキング BuzzMac! You are a commando on a lease to find your way out of the maze in which you are locked. Kill any enemy which comes your way! 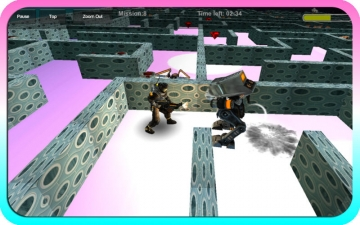 Scroll around with the left joystick to make the commando move in the maze. 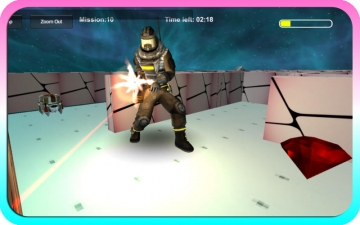 Tinker the right joystick to point the gun and hit enemies with the bullets. The only things which come in between you and your destiny are the enemies which can in be in various forms (flying, robots, giant and small ones) and of course the MAZE! Fire every enemy with your gun. The battles can turn worse as the enemies increase. Bigger enemies will take more time to destroy than smaller ones. With unlimited ammo, kill as many enemies as you can. Use the right joystick to fire from your gun. note down the maze and plan a way out. But remember you have limited life. The backpack on the commando has the life filter. Protect yourself from the enemies (some of these even hit you back) or lose your lite as the filter decreases your lite by turning from yellow to orange to red to black. You die as soon as the filter turns black. Notice the timer above? That’s the limited time you get to finish the level. 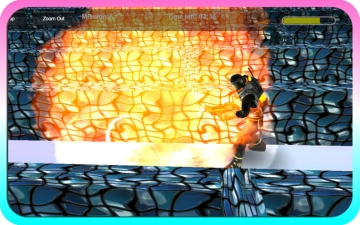 Race with time and reach the Teleportation Portal to travel to other dimension and clear a different level. And yeah, did we mention the gems? Collect them! Collect all the gems and kill all the enemies before you jump into the time portal. Easy eh? 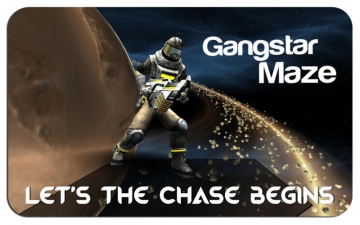 Well, try your luck with Gangstar Maze now! Stunning detail and next­gen lighting combine to beat any 1080p console Maze game on the market. feedback@isoftgamez.com and let us know your views. We would love to hear from you!